Tom Richter is back at SPRUKE by popular demand. Tom’s regular workshop presenter at Sunshine Coast music festivals, and as an experienced musician and teacher, Tom’s well organised workshops received rave reviews at SPRUKE 2015. Sunshine Coast performer and music teacher Tom Richter has played stringed instruments since his teens. He’s performed with great artists like Kevin Borich, Shane Howard (Goanna) and Neil Murray (Warumpi Band), and taught more than a thousand people to play ukulele, guitar, lapsteel and harmonica. 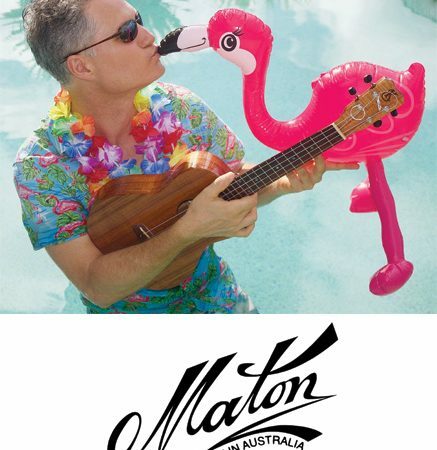 When Tom took up the ukulele in recent years, he shared his enthusiasm by forming Maleny Ukulele, a local community of musicians with a common interest in ukulele. If you’ve never been to Tropulele, or you missed Tom’s workshops at SPRUKE 2015, get in early to get a seat for this year’s workshops.